Facebook is no longer a social networking site where people just use it to connect and chat with friends. Today, it has become one of the most powerful marketing platforms widely preferred by almost every marketer. With multiple targeting options and brand-related objectives, Facebook Ads are giving an ultimate opportunity to online retailers. Being an owner of an ecommerce online store, you should also consider using Facebook Ads, as they can help you boost your brand, generate leads and reinforce business growth. A perfectly-driven Facebook ecommerce strategy allows you to target a large audience and promote your products in the best way possible. One of the main reasons why most retailers have started using Facebook in their online marketing strategy is the fact that it comes with several valuable advertising features. Facebook Ads give businesses an excellent opportunity to prepare and promote budget-friendly promotional campaigns targeted mainly for a particular demographic. Today, almost every ecommerce business has a Facebook page where their customers can follow the store. Such pages give businesses the opportunity to communicate directly with the audience that further builds loyalty and brand image. Meanwhile, Facebook provides you with emphasized opportunities for audience engagement that may result in a higher retention rate. With Facebook Ads, you can also boost ecommerce conversion rates while inviting users to visit your online store and purchase. Users can also decide to not see your future Facebook Ads by providing a reason for why they are not interested – giving you an insight into why your promotional campaign hasn’t achieved the desired success. The charges for Facebook Advertising start from $1 per day. Even if you have a low budget, you can still reach a large number of users so long as you keep your targeting measures as specific as possible. On the contrary, if you had that budget to spend on Google AdWords, you’d be ending up with few clicks per day. With multiple bid options available, you can choose whatever budget is most suitable to your ecommerce campaign goals. Moreover, Facebook offers better targeting options for ecommerce advertising. Target particular genders and individuals based on objective such as “marketing”, “business”, or “advertising”. Besides, you can target a specific audience in your local area – if you run a local business. Facebook also allows you to target users in your preferred geographical region – regardless of whether it’s a village, city, or country. We are well aware that today users are increasingly accessing Facebook on mobile devices i.e. tablets and handheld smartphones. Besides, more and more ecommerce websites are seeing mobile traffic coming from Facebook and other social media platforms. By introducing Facebook Ads, you can drive immense mobile traffic to your ecommerce store that ultimately improves traffic and sales. Advertising on Facebook provides you with an effective way to boost exposure and traffic for your ecommerce store. In festive seasons, you can use it to generate more leads and sales. Just choose your objective, select your audience, choose the desired location, set your budget, pick a format, and you are ready to go. Facebook Ads can help you promote your online store in different ways. Boosting posts is one of the most powerful ways to get more exposure for your post. You can promote a blog and expand its reach to more of your target audience and community while spending a small budget. Moreover, you can promote your page to get more likes and connect with more users through targeting. However, it’s a cost-effective way to get more relevant audiences to see your posts, promote offers, and publicize special events. With Facebook Ads, you can easily promote your posts and drive more traffic to your online store. Whether you are looking to promote any specific category or products; Facebook Ads will help you drive more traffic that will ultimately improve sales. In order to engage more users, you need to use visually appealing and related images while sharing useful content. Be sure to track Google Analytics and website metrics to analyze the success of your Facebook campaign. If you are looking to generate more leads with a festival offer, you must start using Facebook Ads. The leads are generated by promoting content that links directly back to any specific category or products where visitors can shop. Or, you can target a landing page which is dedicated to a special offer; raising the chances of conversions. Promote landing pages related to discounts and other offers. Post engaging blog posts that boost traffic and generate more leads. Share creative videos that promote offers. Don’t forget to add a call-to-action button to your Facebook Page. Include landing page links to in the captions. Use Facebook Live videos that will remind users to register or grab the offers before they expire. Run a giveaway or contest on a regular basis. Facebook Ads give you an opportunity to build a relationship with the target audience or future customers. Apart from just being a commercial platform, Facebook is a social platform where most people want to connect with each other rather than shopping. And you can achieve it by using advertisements to communicate your brand’s story. You can make a sequence of Facebook Ads conveying your brand message rather than just promoting your products or services. We recommend that you make a video to tell your success story or workflow and promot it via Facebook Advertising. With Facebook Event Response ads, you can make your upcoming event more successful. You can make an event from your Page and spread the word about it. You can select the target audience who may be interested in your event. Facebook also helps you make your choice more specific by giving you multiple target options such as age, gender, location, and interests. Besides, you can keep track of how many users have acknowledged to your invitation. 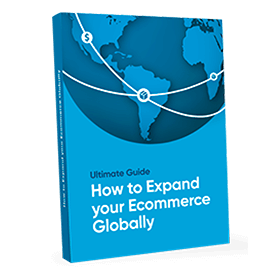 Today, online retailers face many challenges especially those who work in global markets and need to deal with different local specifications. If your online store is present in multiple nations, then you must try targeting your Ads strategy to different countries. Facebook will showcase your posts to the target countries with the best cost per action, delivering you helpful insights into which advertisements work where. So, it’s easy to target a large number of audiences worldwide while choosing a specific country group or geographic region. In addition, make sure you use a geomarketing strategy in your website to reach international customers and motivate them to interact with your store. With geolocation, your online store can track visitors’ location (country, state, city, or neighborhood they are located in) and deliver customized content. From pixel tracking to behavioral targeting; Facebook offers a wide range of ad formats and targeting options. You need to consider several significant things while working on Facebook marketing for ecommerce. Here, we are providing some significant elements of successful Facebook Ads. You should start ecommerce Facebook Advertising by choosing an objective and then customize the ad format and style around what you are looking to achieve. No matter how long you’ve been marketing on Facebook, you should always keep experimenting with both ad design and its targeting. A design to engage the attention of your prospects. A design to encourage a direct action such as a discount offer or app install. Brand awareness campaigns are performed well with CTAs associated with content consumption such as subscribing for more valuable content, following a Facebook page, etc. On the other hand, direct response ads are performed better by providing some exciting offers or solving common buying problems. Every time you’re preparing a new ecommerce campaign, try to come up with different ad designs and test each one. Most ecommerce businesses have different types of audiences with diverse needs. You can enhance your Facebook Ad designs and serve better content by creating buyer personas. For each potential consumer type, prepare a persona. Teenagers or adults? Men or women? What’s the major problem he or she is expecting to resolve after using your product? Once you’ve prepared your buyer personas, it’s time to design an Ad while targeting each persona and addressing their pain points. Facebook offers unlimited options for audience targeting, so it’s easy to get confused at the initial level. However, you can save a lot of time and money by being choosy in your audience targeting. Start with a lookalike audience: Targeting lookalike audiences is easy since you can use existing data (such as customers who purchased something from your store) to target related prospects. This will give you a practical way to start experimenting and refining audience targeting. You can narrow your audience and make your ad more specific by choosing target location and adding interests. Ecommerce Facebook Advertising should not annoy users with wordy sales pitches or boring advantages. You should always use a conversational headline that engages users. Though there are no real hacks for writing headlines, a tip that works best is for headlines to express straightforward product benefits with a clever phrase. In some cases, you will need to talk about product features only. Remember, too much text is misleading and may reduce the reach of your boosted post. Facebook Ads perform better when they’re creative and conversational, minimizing the chances of annoying users with repetitive promotion in their personal feeds. This is the best example of a perfectly-chosen creative image and caption which makes the Facebook campaign stand out from the crowd. Always be creative but avoid using offensive images. Consider that you can add some visual contrast to grab the attention of users. This Facebook Ads Guide will provide you with more size recommendations for your specific ad objective. Are you looking to promote brand awareness, boost the traffic, or improve sales? No matter what, your ecommerce Facebook Ad must have a clear call-to-action (CTA). A relevant and engaging ad is fantastic, but without a call-to-action, your target audience may not know where to click and what to do next. In order to boost ecommerce conversion rates, you should use a call-to-action button such as “Shop Now” that will encourage users to visit your store, browse and shop. The total amount of times your Facebook ad was shown. The total amount of clicks or actions achieved. Cost per click, like and conversion as per your specific goals. You should update your Facebook marketing strategy according to the results. Make sure to keep experimenting with different images, captions, designs, and formats before you dive into ecommerce advertising on Facebook. Nevertheless, Facebook Advertising is a great marketing tool which can be widely used and promote your online store and meet your business goals. With all the tips mentioned-above, you can achieve to come up with a successful Facebook Ad for ecommerce.